At Carlos German & Team, we take pride in selling your home. We have one of the best property marketing plans in the area, and everything we do is top of the line. From our flyers to our website and virtual tours, we can guarantee that buyers will be impressed and will request showings of your property. The key to selling a property is just that—creating enough interest in the property so it has tons of showings and, ultimately, receives good offers. However, it takes dedication, discipline, and a program to make it all work. 1. In real estate, everything starts with photos. We will hire a professional photographer to photograph your home and make it look like never before. Buyers will take notice, and you will have more showings, GUARANTEED! 2. After the photos, the second biggest showing generator is the description used for marketing the property. We will create a thorough description of your property that will generate calls and showings from day one. 3. 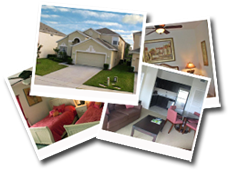 Once we have great photos and a great description, we will upload your listing to My Florida Regional MLS. Through the MLS system, over 20,000 real estate professionals in central Florida will have access to your property and will be able to market it to their clients and request showings. We will also make it easy for them to market your property to their clients by providing unbranded marketing material such as virtual tours and flyers. 4. 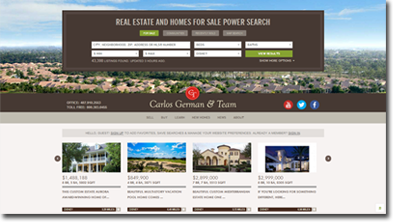 We will upload your listing to CarlosAndTeam.com, the top real estate website in the area that DOMINATES search engines with the keywords that matter to you. 5. We will send “Just Listed” postcards to owners of properties in your local market. That way, if they are thinking about upgrading, know someone who may want to live near them, or would like to buy another property as an investment, they’ll know your home is available. 6. We will create a virtual tour of your home that will be distributed all over the net and in the MLS. Our high-end tours showcase your home and allow buyers to fall in love and request a showing ASAP! 7. We will also upload your listing to the top real estate websites in addition to over one hundred other real estate-related websites. Other Realtors® may say they do, but we REALLY deliver and spend over twenty hours on each listing. 8. We send a flyer of your property to our database of buyers who may be interested in properties such as yours. 9. We send a flyer of your property to the top realtors in the area. We know who they are, and they pay attention to our e-mails because they know we offer the best deals in the area. 10. We upload a video of your property to YouTube and also market your property via social media websites and blogs. 1. We provide you with feedback on every showing. We know you’re always waiting to know what the buyers said about your property. It’s our job to give you the inside scoop on every showing. 2. We will keep you up to date with the market in your local community to make sure you’re fully aware of its ups and downs. 3. We will send you weekly property updates of listings entering the market in your community. Keeping an eye on the competition is important for you to maintain the edge. We have to make sure your property (not your neighbor’s) is the next one sold. 4. We will contact you every week and provide an update on our marketing efforts and everything else relating to your property. 5. We will secure an offer from a qualified buyer ASAP! That’s our main goal and one of the most important items on our to-do list. We’re always thinking about innovative ways to sell your property. 6. We will negotiate on your behalf and get top dollar for your property. 7. We will help you through inspections, contingencies, and closing on your property. 8. We will provide you with top-of-the-line contacts for moving out, cleaning, doing repairs, and so on. 9. We will help you contact an accountant so you can pay your capital gains on time to ensure that the IRS doesn’t come after you after the sale! 10. We will deliver your check at closing—the happiest moment for us at Carlos German & Team. Get A Free Home Selling Analysis by Completing the Form Below!